How much of your city’s layout is compromised to accommodate the car? Probably more than you realize. Consider a stationary car’s footprint on the road in the image below. Now consider how much additional space each car requires when moving. The higher the speed traveled, the more space that’s required between cars. A car traveling 25 mph on the road probably needs around to 1-2 car lengths between it and the car ahead, and that figure doubles for every ~25 mph increase in speed. Even still, it is pretty shocking to learn that the total percentage of land dedicated solely to the automobile can exceed 50% in some cities. Beyond that terrifying land usage statistic, consider how much of the remaining land’s development is influenced by the automobile’s close proximity or the preference for people for traveling by car. In short, cities are built around the car, and cars are a huge waste of space. So why does no one seem to care about this backwards set of priorities? Why isn’t there an aspirational city car to match every enthusiasts aspirational sports car? Gordon Murray, the man behind the McLaren F1, has turned his attention to the city car, but it has attracted minimal attention. Part of the problem stems from the ridiculous correlation between vehicle size and perceived luxury. Small cars are always a brand’s entry level model. 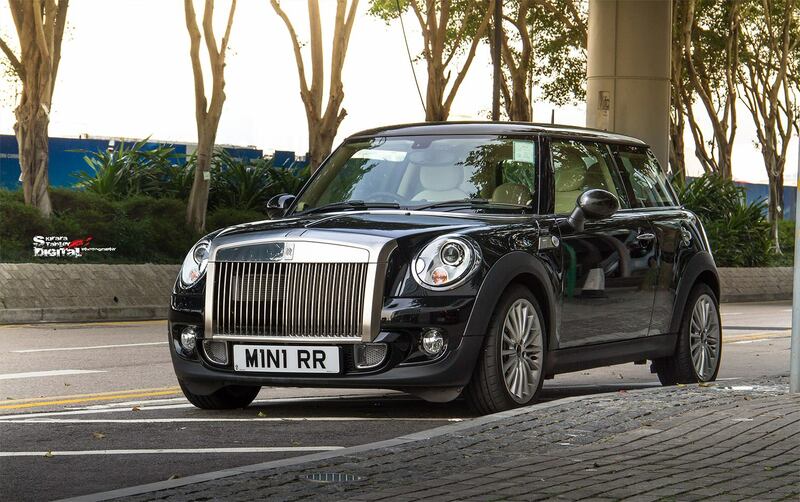 You simply can’t buy a truly luxurious small car. It’s almost an oxymoron. The rational for this is that automakers build cars based on consumer demand, and most cities do little to incentives people to drive smaller cars. If anything, consumer preference has favored increasingly large cars. The current 3 series is now as large as the 5 series from two generation ago. We already incentive people to drive fuel efficient cars through taxation. Why not place the same emphasis on vehicle size or correspondingly weight? I can’t wait for the Mini Rolls or maybe just smaller (and lighter) cars in general.